"What's the craic?" Celebrate this St. Paddy's day a bit differently. In one hand a traditional beer and the other a microphone. 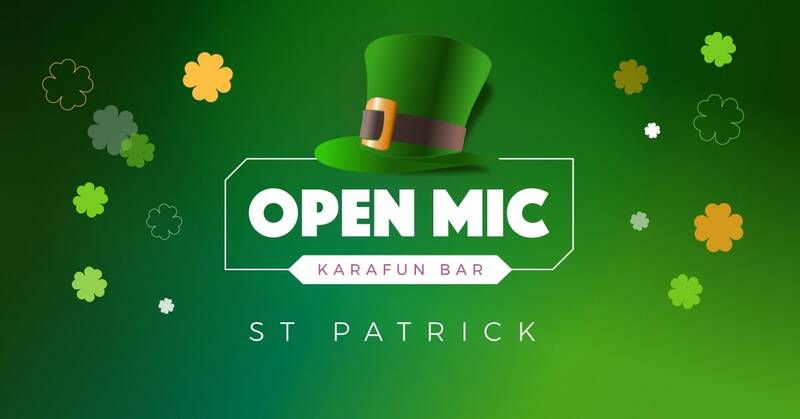 Dress in green and come try your luck at Open Mic KaraFun Bar to win a free karaoke session in our green Jungle Room (excludes drinks and snacks). How to participate you ask? The luck o' the Irish won't help you this time, it'll take the public's vote! But if luck be on your side or not, an Irish ambiance and some good ol' goodies await you anyways!